"Original rates in US dollars. 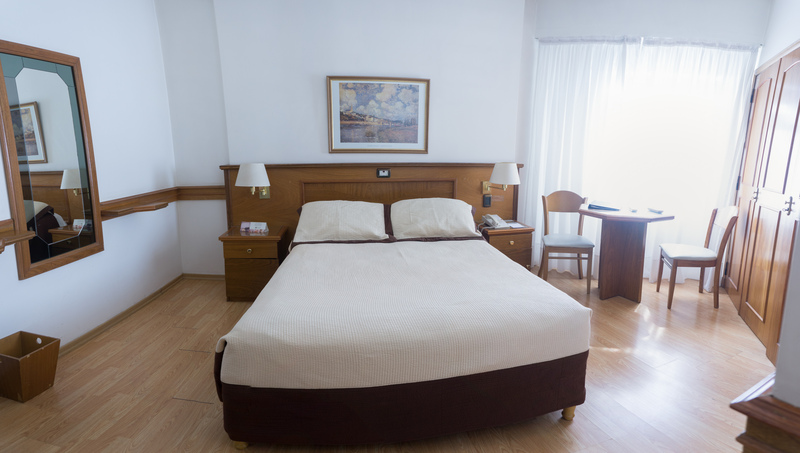 The conversion to other currencies is only informative"
Beds: 2 single beds or a double bed. 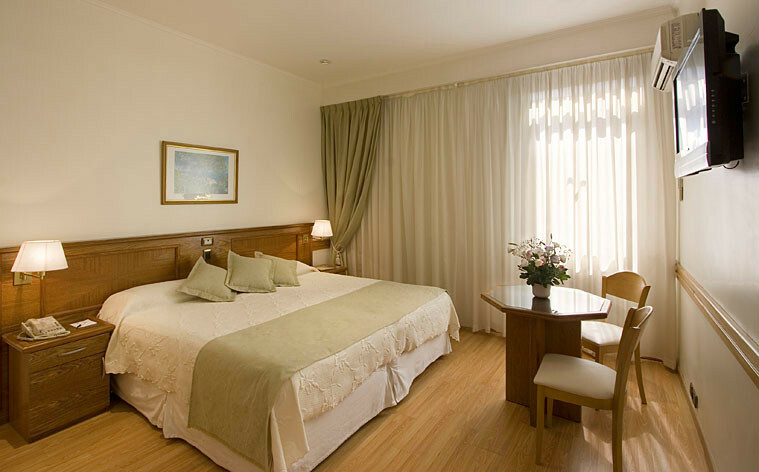 A comfortable room with parquet floors, air conditioning, cable TV and a private bathroom. Meals are not included in this rate plan. Free! Only one child under 2 years stays free of charge in a child cot/crib. There is no capacity for extra beds in any room. The maximum number of children cots/cribs in a room is 1. Cancellation and changes are allowed until 2 days prior to the checking date. Room facilities: Safety Deposit Box, Air Conditioning, Desk, Heating, Toilet, Bathroom, Bath or Shower, Telephone, Flat screen TV 40' with cable Channels, Minibar, Refrigerator and soundproof window.